When should you accept a Brisbane Lump Sum Settlement from Workcover? In Queensland, it is not uncommon for WorkCover to try to settle your claim for permanent impairment with a lump sum offer. However, the term ‘permanent impairment’ tends to intimidate and even scare potential claimants, who become eager to know their legal rights and what the best decision is to make. Of course, they are right. It is very important that any injured worker speak to an accredited specialist in personal injury before they accept any lump sum settlement for WorkCover. The individual circumstances of each claimant greatly vary and can affect whether this decision is truly in your best interest. However, there are a few general considerations to take into account that can assist workers in assessing their situation and helping them decide when it is best to speak to a personal injury lawyer. In order to be eligible for a lump sum offer from WorkCover, you are required to have a permanent impairment of at least 1%. The evaluation on the extent of your permanent impairment must also be done by a medical assessor. A common issue arises when a claimant does not agree with the assessment of their injuries. To be able to argue this, there needs to be substantial medical evidence that supports your position. If this is the case then there is an option for review of your decision by the Medical Assessment Tribunal at the Workers’ Compensation Regulator or by a second assessment. Reviewing a decision made by WorkCover Queensland can be a complicated process and it is important to seek legal advice in this matter. Failing to do so may result in a rejection of your review and pursuing the matter further will require a more difficult and expensive appeal process. Typically, WorkCover will not offer any form of settlement for a work injury until it has been determined that the injury is stable and stationary. A good rule of thumb is usually at least 6 months post-accident. Again, it is up to a medical assessor to determine whether an injury is stable and stationary. The amount of compensation is determined by the Workers’ Compensation and Rehabilitation Regulation 2014, which sets out the maximum amounts of compensation payable based on the injury and the percentage of impairment. Calculating the amount of compensation under the legislation can be a complicated process for someone who is not properly trained in interpreting the law. If a claimant had concerns in this regard, it is best for them to seek the advice of a lawyer who is also an accredited specialist in personal injury. You may be required to refund a lump sum offer back to WorkCover if you are also pursuing a Compulsory Third Party (CTP) claim against a negligent party. For example, if you are a driver working for a company and you get into a car accident and choose to pursue a negligence claim against the at-fault driver, then your payments from WorkCover will need to be claimed from the CTP insurer and refunded to them upon settlement. 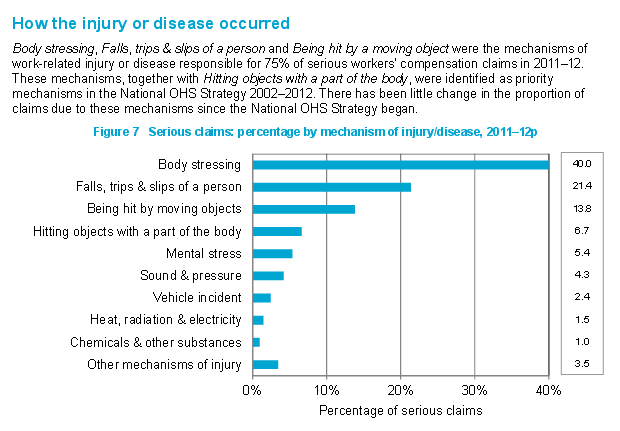 The exception to a WorkCover refund is if you do not have a CTP claim or any other compensation for your injuries. In this case, WorkCover will make their own claim against whoever to recover their losses. When should I accept an offer from WorkCover? As a general rule of thumb, it may be okay to accept a lump sum offer from WorkCover if you are also making a CTP claim against a third party for your injuries. In this way, you may not risk losing the amount of compensation you will receive because your CTP claim will also include the WorkCover payments. However, if you have no other avenue of compensation, it is critically important that you speak to a personal injury lawyer before accepting any lump sum settlement from WorkCover. The reason being is that your compensation will be dictated based on legislation and you may need the assistance of a legal professional who can properly interpret the law for you. Who should I contact concerning my WorkCover claim? East Coast Injury Lawyers is a personal injury firm that is also led by accredited specialists in personal injury. If you have any questions concerning your WorkCover claim or if you have any enquiries about whether or not you should accept a lump sum offer, then contact us at 1300 720 544 or by filling out our case review form. We will provide you with a risk free, no obligation initial consultation so you can be informed of your initial legal rights before deciding on what is the best course of action for you to take to protect your rights to compensation.